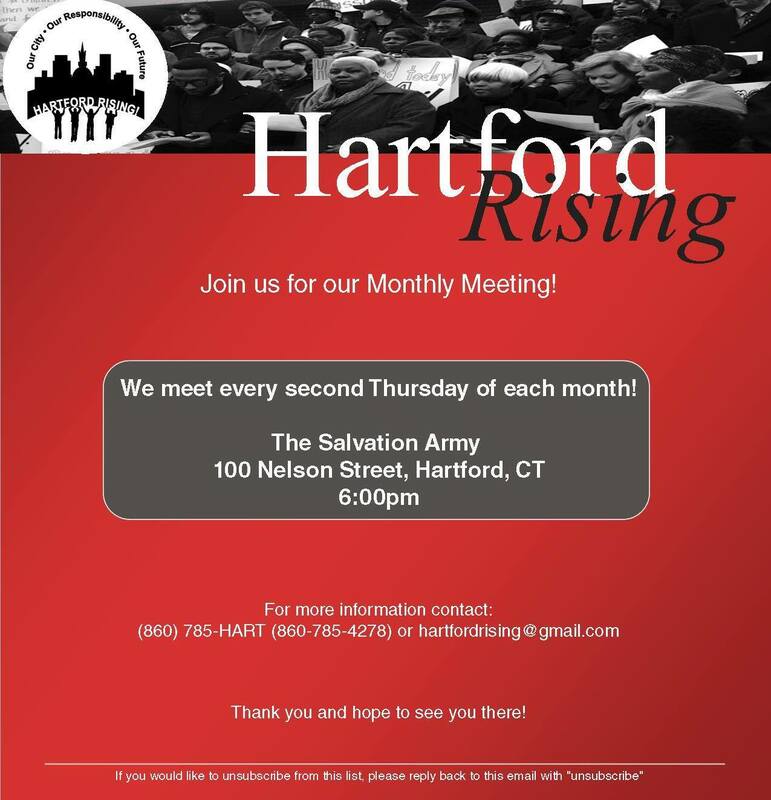 1/14 Monthly Hartford Rising! Meeting – HARTFORD RISING! Plan to join activists in ‪#‎HartfordRising‬ for our January monthly meeting on Thursday, January 14th, and be part of planning next in taking on income‪#‎inequality‬ and racial injustice. Hope to see you there! UPDATE: The Hartford Rising meeting for this week has been cancelled. We apologize for the short notice and will have our next monthly meeting as scheduled.